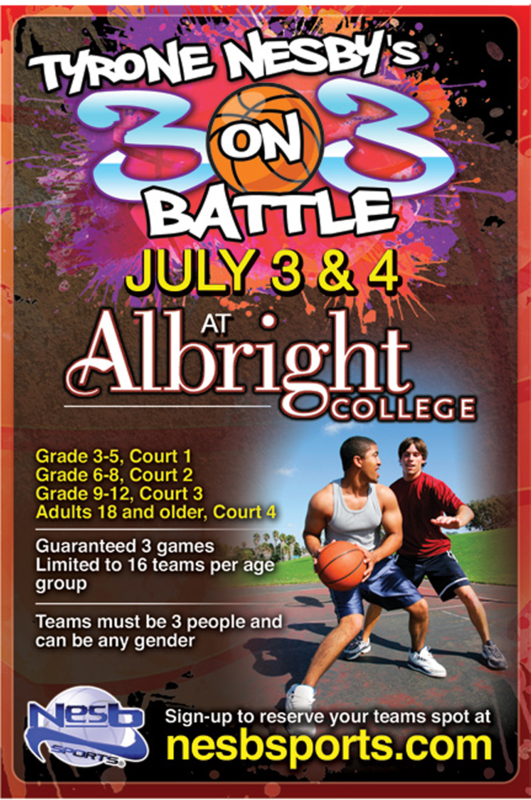 The 3-on-3 Battle has been cancelled for July. This will be be rescheduled for a later date. Check back for more information. * Each team will be guaranteed 3 games. practice games and one bracket game. 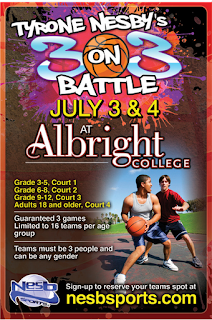 * There will be 1 official for each court when in bracket play. 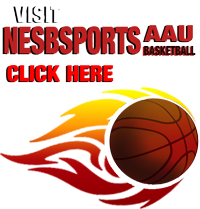 * The list for the practice games and bracket games will be posted on the website the night before. 2. The ball begins at the top of the court. No sideline or beneath the basket entries. 3. You can not foul out the game. 4. Every foul that is committed, the opposite team gets one point. 6. If you score, the ball is awarded to the opposite team and vice versa. 7. The 1st team to 21 points wins the game. 8. 20 minutes running clock, the team with the most points wins. 9. If the game is tied after 20 minutes, we will have sudden death. 1st team to score wins. 10. Coin toss to determine who gets the ball first and for tiebreakers. 11. There will be one official for each court during bracket games.